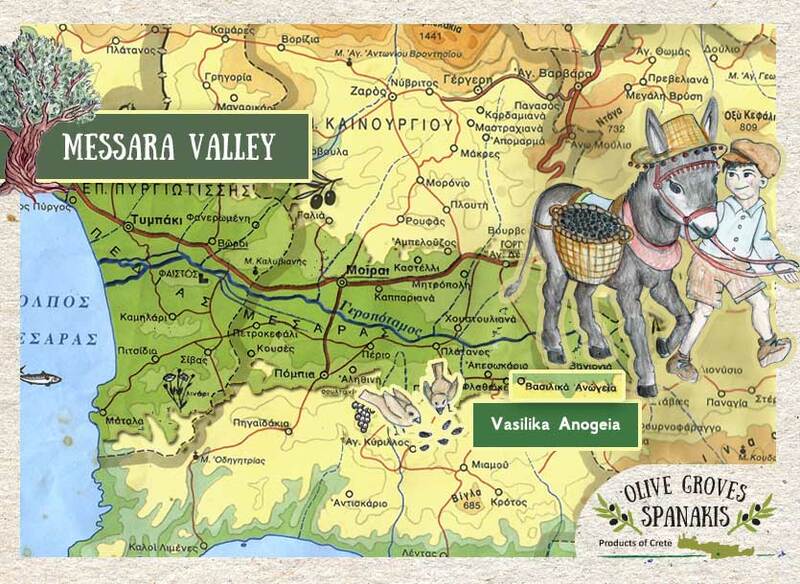 Spanakis Olive Groves are situated near the village of Vasilika Anogeia at Messara valley, producing for the past 40 years premium extra virgin olive oil. 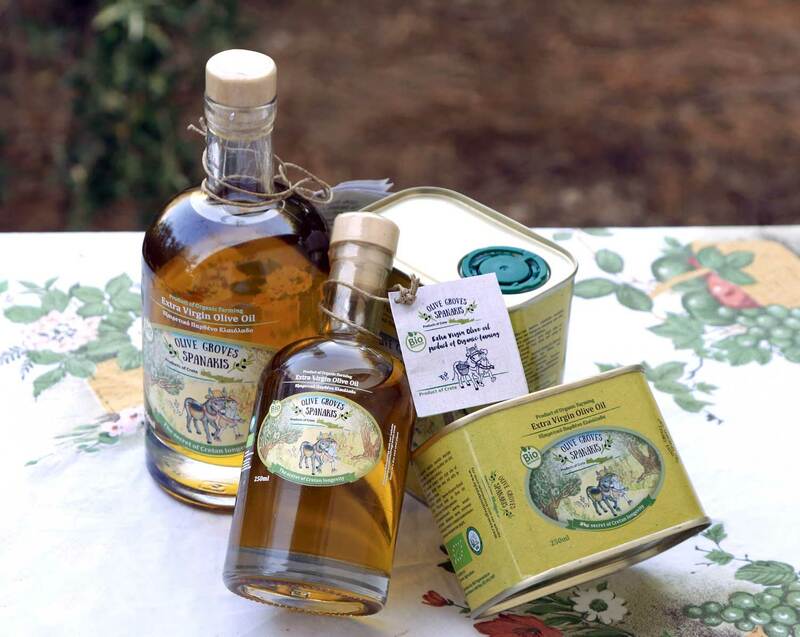 Since 2001 Spanakis Olive Groves have embraced organic farming with respect to nature. 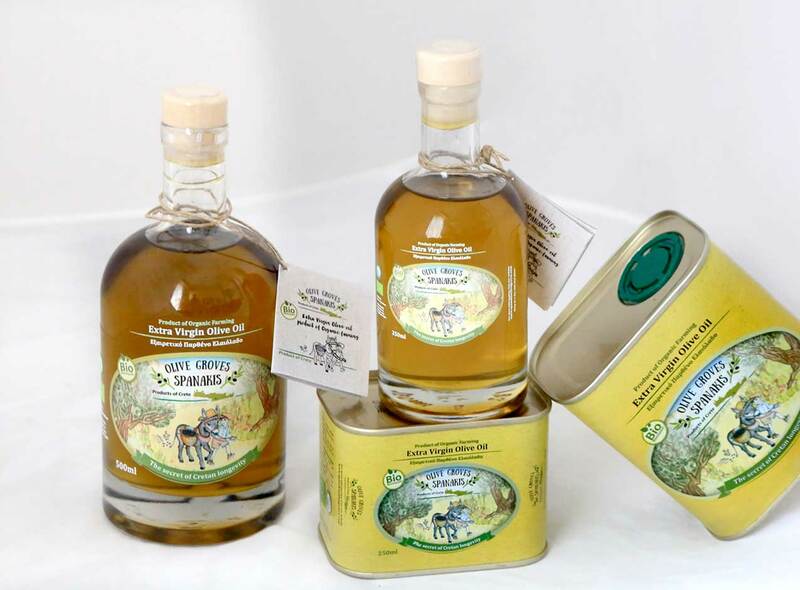 Olive groves spanakis is a small traditional family business that bottles a small number of bottles and tins each year. For the packaging the choice of an image that becomes more and more rare nowadays was chosen to illustrate the traditional character of the firm. 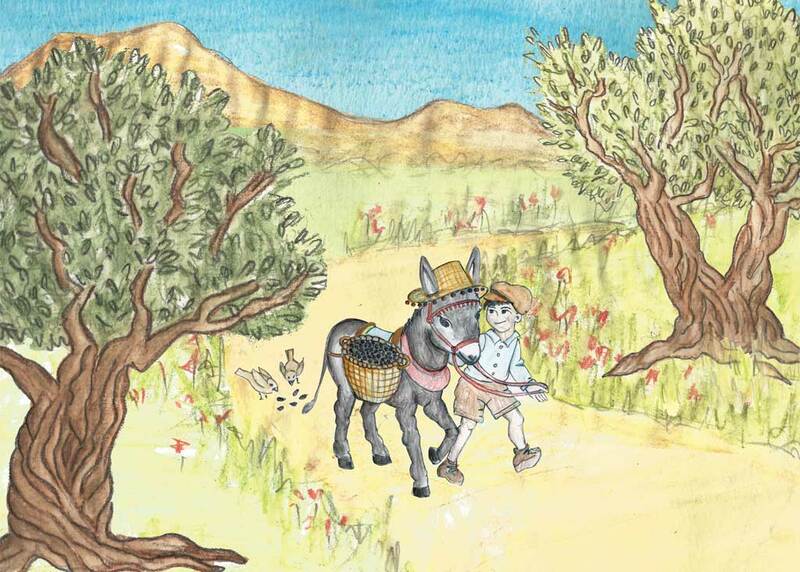 The little boy that leads the donkey within the olive groves, with the side basket filled with olives along with the birds that followed in order to pick the ones fallen at the street, used to be a common image before 40 years. The label is printed on transparent sticker after two stages. At the label of the bottle the white background is primarily printed wherever there is theme, and afterwards the colored theme is supposed. The handmade nature of the project. The illustration(mixed media) was drawn by hand (illustrator: Maria Cristaki) and then applied on to the label. The label and a small tag with multilingual info is attached on the bottle by hand. 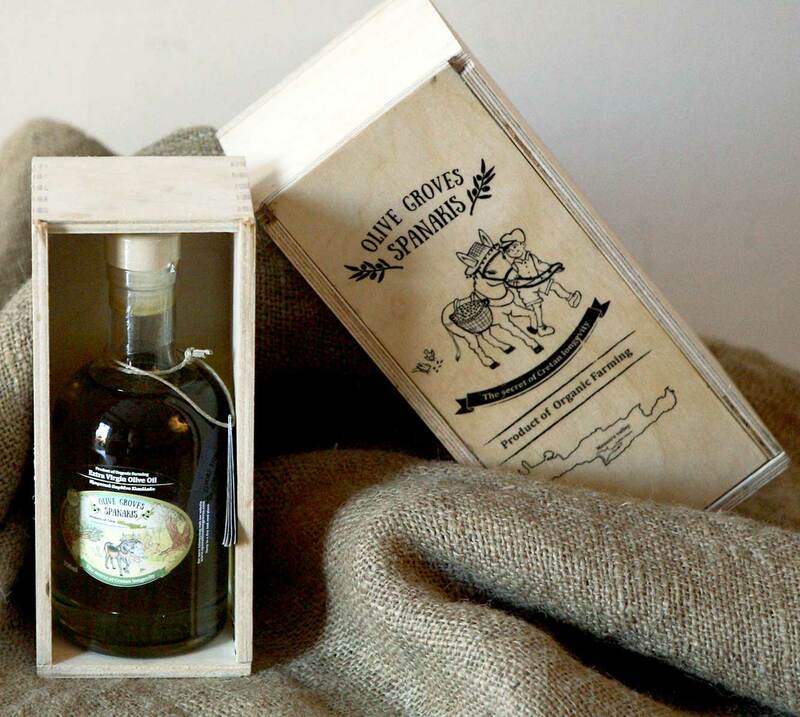 Then the bottle is placed inside a handcrafted wooden box that carries the logo imprint. The box is printed with a transfer technique that is kept secret by Mr. Spanakis that cuts, assembles and prints every box by himself in his workshop.